Most mornings I wake up and immediately start tending to my children. Because Baby E is still not sleeping through the night, I haven’t been able to wake up 1.5-2 hours before everyone else does. We started sleep training this week so wish us luck and hopefully I will be back to Mommy Me Time mornings soon. One of things that has suffered as result of our long nights and hectic mornings is me eating breakfast within 1-2 hours of waking up. It’s said eating breakfast by that time is a good way to rev up your metabolism and stave off the urge to binge it cookies, cake, doughnuts, chocolate. I’ll stop there. You get the point. To help me with this, I started making different overnight oatmeal recipes. Overnight oatmeal is easy to put together in five minutes or less. 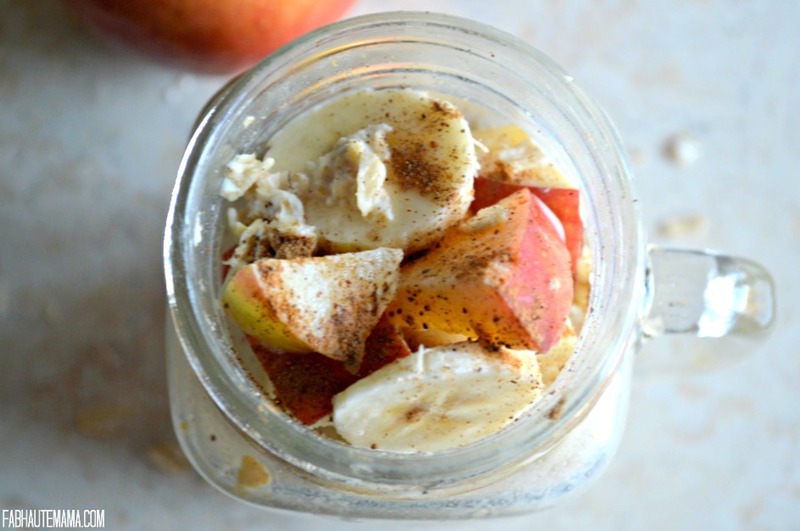 You know I’m about that 5 Minute Mom Life so today I am sharing one of my favorite overnight oats recipes: Peanut Butter Banana Apple Overnight Oats. Note: I like my overnight oats warm so when I take them out the fridge, I pop my mason jar in the microwave to heat everything up. 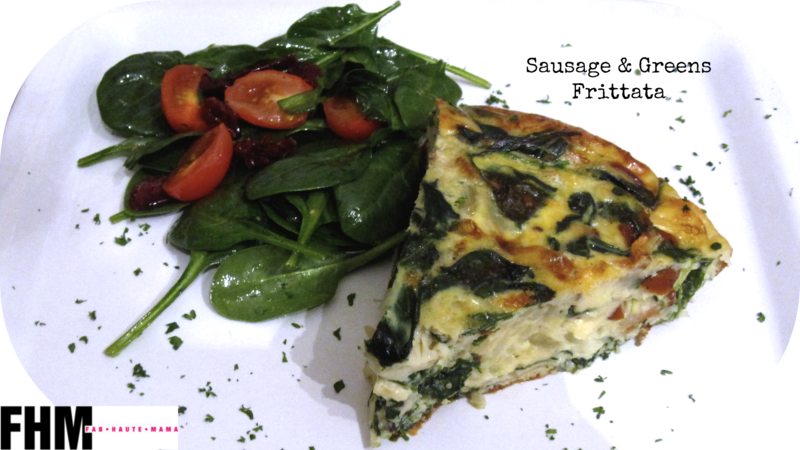 I top these recipe with a few slices of banana which is my go to for energy in the morning especially now that I am working out again. 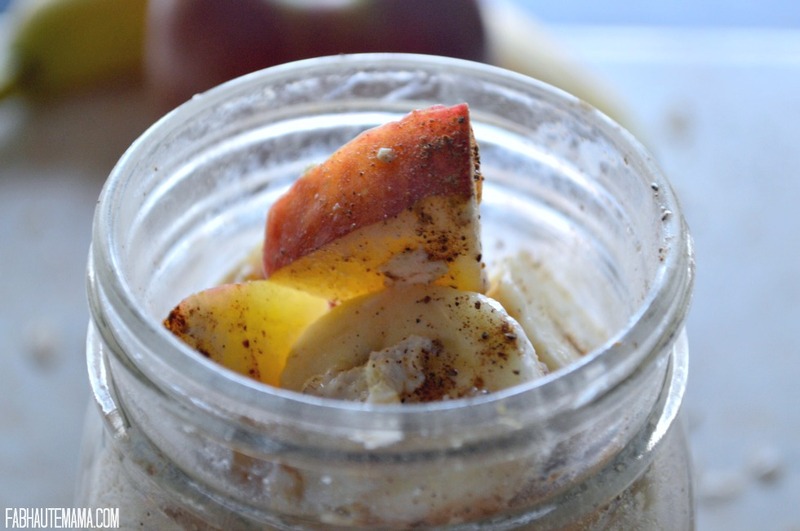 Place oatmeal and spices in mason jar then cover with milk, water and honey if using. Add peanut powder and stir. 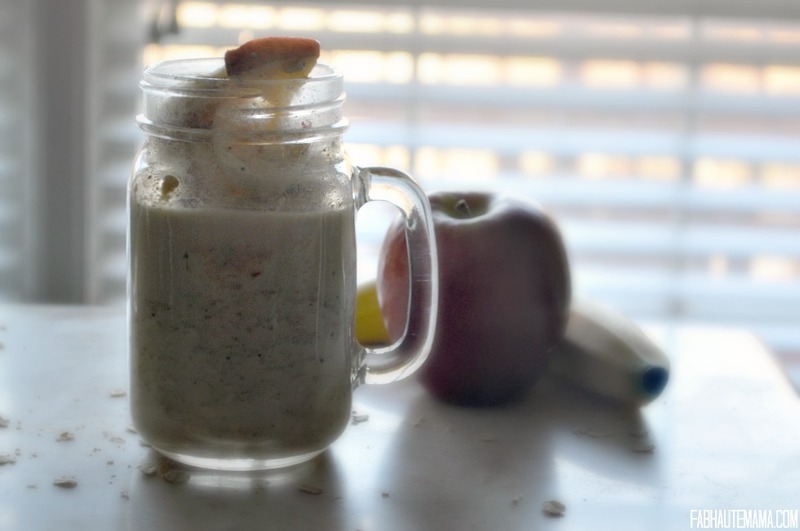 Cut up apple into small to medium cubes and place on top of oatmeal mixture, stir to combine. Place in refrigerator overnight then top with banana slices and garnish with additional spices. For my nursing mamas, this is a great recipe to help boost your milk production. As I mentioned in the Lactation Smoothie, you can add Brewer’s Yeast to your overnight oats as well as flax seed. Next week, I’ll share an overnight oats recipe that includes chia seeds which are great for energy. Baby E just turned 8 months. He is enjoying exploring the world of fruits, veggies and proteins. He actually loves and prefers finger foods over purees so I tend to make most of his food in small pieces to enjoy. I still make him tasty purees too. Since he is expanding his palette and we are sleep training, he doesn’t nurse pacify himself as much as he use to. What a relief! 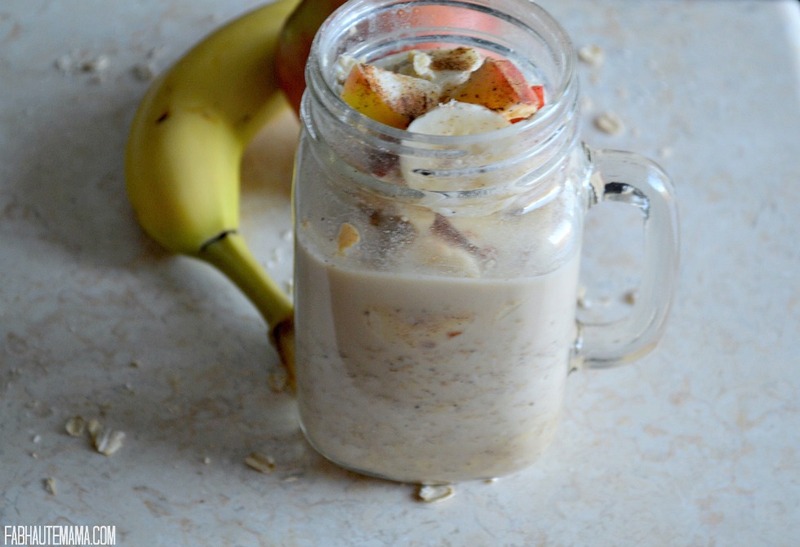 Come back next week for another overnight oats recipe. Do you have a favorite fruit or spice combo you enjoy with oatmeal? Have you tried making it the overnight way? 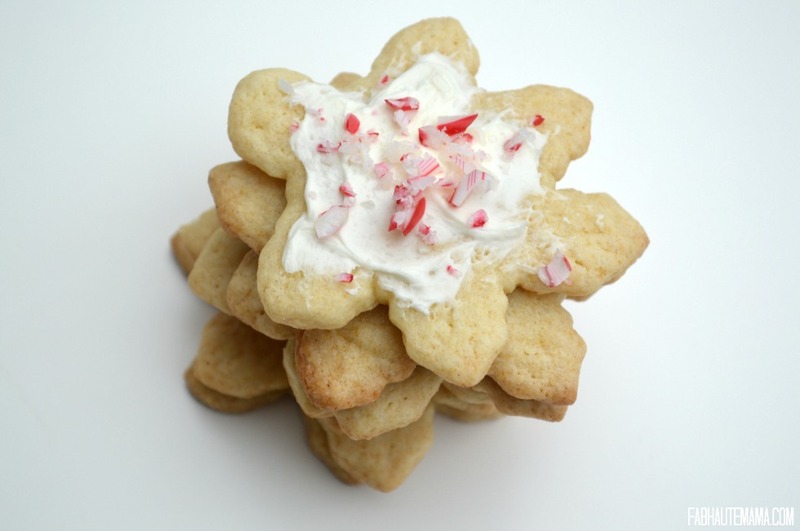 Share your favorite ingredients with me.